World Health Organization’s 2014 report on global surveillance of antimicrobial resistance reveals that antibiotic resistance is no longer a prediction for the future; it is happening right now, across the world, and is putting at risk the ability to treat common infections in the community and hospitals. It is an increasingly serious threat to global public health that requires action across all government sectors and society. There are high proportions of antimicrobial resistance (AMR) amongst bacteria that cause common infections (e.g. urinary tract infections, pneumonia, bloodstream infections) throughout the world. Resistant microorganisms (including bacteria, fungi, viruses and parasites) are able to survive attack by antimicrobial drugs, such as antibacterial drugs (e.g., antibiotics), antifungals, antivirals, and antimalarials, so that standard treatments become ineffective and infections persist, increasing the risk of spread to others. Increasing levels of antimicrobial resistance correlate with inappropriate antibiotic use as shown at the population and individual level. Therefore, our goal should be to use antimicrobials rationally and for that we need to know how antimicrobials are being used. 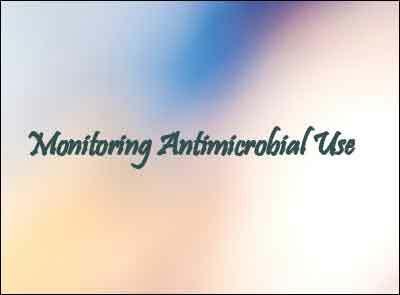 Monitoring of antimicrobial use is a crucial component to identify targets for improving antimicrobial use and to further correlate with antimicrobial resistance surveillance programmes. World Health Organization (WHO) highlights the establishment of effective, epidemiologically sound surveillance of antimicrobial use and AMR among common pathogens in the community, hospitals and other health-care facilities as one of the key public health priorities. Surveillance systems are required to understand trends in antibiotic use and AMR, as well as the long-term temporal associations between these two in different areas. Tracking antimicrobial use, and the emergence and spread of resistant strains of bacteria provides information, insights, and tools needed to guide policy and to evaluate measures taken to promote appropriate antimicrobial use at all levels, from local to global. Data could also stimulate a sense of urgency to act. Improving antibiotic use is the key feature in efforts to contain AMR. Strategies for interventions to reduce antibiotic use have to be prioritized and customized based on local realties. Data from surveillance could help in identifying priorities and processes and in documenting a baseline for monitoring effects of interventions. The use of a standardised methodology allows meaningful comparisons over time and between different facilities or countries. Expression of antibiotic consumption should be in international accepted formats. Therefore, we need to have a methodology and a common unit of measurement in each country in order to assure the comparability of the data. The Anatomical Therapeutic Chemical (ATC) classification and the Defined daily Dose (DDD) as a measuring unit have become the gold standard for international drug utilization research. ATC/DDD methodology of classification is a tool for drug utilization research in order to improve quality of drug use. It is an international language for grouping of drugs and measuring consumption of drug use. The WHO recommends this methodology of classification as their international standard for drug utilization studies. This methodology is widely used in drug catalogues, drug safety assessment and drug utilization and pharmacoepidemiology. The ATC/DDD system is a tool for exchanging and comparing data on drug use at international, national or local levels. 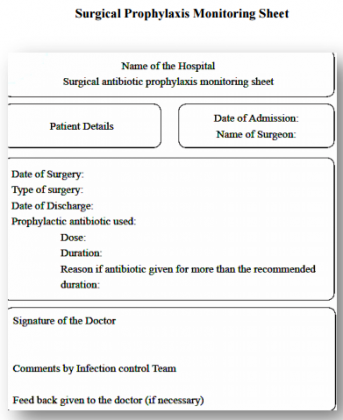 When monitoring antimicrobial consumption in pediatric setting, tota antibiotic events. The ATC system was initiated in the 1970s by the Norwegian Medicinal Depot, and is now coordinated by the World health Organization (WHO) Collaborating Centre for Drug Statistics methodology, established in Oslo in 1982. The centre revises the ATC codes as necessary and maintains an online database and published index. Drugs are divided into different groups according to the organ or system on which they act and/or their therapeutic and chemical characteristics. Each drug is assigned at least one ATC code, which are classified into groups at five different levels. Table 1 below shows an illustration using amoxicillin as an example. To facilitate the ability to compare consumption information across time and geography, a technical unit of measurement was created for use in conjunction with the ATC classification. It is referred as the Defined Daily Dose (DDD) and assigned to each drug at the 5th level (chemical substance) classification. It is defined by the ATC as the assumed average maintenance dose per day for a drug used for its main indication in adults. For antibiotics, the main indication is moderate to severe infections. The WHO Collaborating Centre using established principles assigns ATC and DDDs. Different DDDs may be assigned for different drug formulation (ie, parenteral versus oral). Table 2 provides some examples of DDDs for antibiotics. DDDs are useful for measuring and comparing volumes of drug use. DDDs should not be considered as the “correct” dose but as an international compromise on review of available documentation. How to use the ATC/DDD classification to quantify the antibiotic consumption? For OPD from administrative prescription claims data, If data are available at the individual claim level and the antibiotic is identified or mentioned, it is a fairly straightforward process to apply the ATC classification and convert into a number of DDDs. For example, if the prescription indicates that the particular patient was dispensed 14 ciprofloxacin 500 tablets from a particular pharmacy. The number of DDDs is calculated by multiplying the quantity by the DDD conversion factor. In this example, the strength of one tablet is 500 mg and the ATC/DDD is 1 g for ciprofloxacin. Each 500 mg tablet is equivalent to 0.5 DDD. Multiplication of the quantity dispensed (14 tablets) by a conversion factor of 0.5 equals to total of 7 DDDs dispensed from this prescription. Data can then be collated, expressed and evaluated based on any other prescriptions record and then merged. Hospital pharmacy data: Most hospital pharmacies have the ability to express their drug dispensing information in monthly collation of numbers of drugs dispenses by type of drug. ATC/DDD system can be applied in a similar fashion to the above out-patient prescription example. The usual divisions within a hospital are wards or various departments. Consumption data can be collated for each department separately from the pharmacy records. Most commonly, units for antibiotic consumption include DDD per 1000 inhabitant-days for out-patient data and DDD per 100 bed-days in hospitals. Because the ATC/DDD system is continuously being modified, it is essential that the version (year) of ATC classification in use is clearly identified. The most recent classification is usually used. However, one must be aware of changes in the classification or DDD assignment when comparing with earlier information. There are wide variations between regions and countries, in their capacity to carry out surveillance system. In resource-poor countries with comparatively weak health systems, there are constraints related to infrastructure, trained personnel, networking and coordination. Currently it is not possible in resource-poor countries to quantify the effects of AMR on the individual or the community, because of lack of availability of good quality data in sufficient quantities. Therefore, developing validated, reproducible and sustainable surveillance methodologies to quantify AMR and antibiotic use in the community, and to inform the development of interventions and evaluate their impact is a priority. The methods for obtaining data are often problematic, especially with regards to data on antimicrobial use. About 80% of antibiotics are used in the community and the rest are used in hospitals. There is a lack of community-based databases on AMR and antibiotic use in developing countries. Moreover, antibiotics can be obtained easily from private retail pharmacies without prescription and pharmacists also advise and dispense antibiotics to patients. Therefore, developing a methodology, which is reproducible and sustainable, is needed to measure antimicrobial use in the community for developing country.